Prepare for your day – This might sound strange, but your appearance matters on the phone almost as much as it does during a face-to-face interview. You will have more confidence dressed in business casual than you will in your pajamas. A memorable piece of advice I once received was that “people can hear a smile”. Focus on the interviewer, smile, and think positive. You’ll make a better impression. 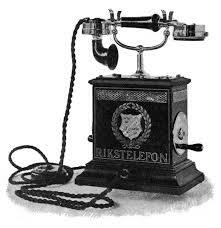 Use a land line – Cell phones are wonderful, but not always reliable. A dropped call, cellular static or getting disconnected can ruin an otherwise great interview. Get rid of the distractions – Interview in a private, quiet space. That means having someone watch your children and kick the dog, the cat, and the rest of the household members out of your interview space. Please, no driving while interviewing. Pull over or schedule another time where you can give the interviewer your full attention. Be aware of what you are doing – Swinging in your chair, pacing the floor or fidgeting can all be heard over the telephone. Tapping on a pencil, clicking a pen and other nervous habits are distracting and come across as lacking self-confidence. Practice good body language and it will positively affect the tone of your voice. When you feel good you look and sound good. Remember to smile! Don’t interrupt – Listen carefully to the question and answer the question to the best of your ability. Be concise and to the point without rambling. Be careful not to interrupt the interviewer because you think you know what he or she is about to ask. It is alright to take a few seconds to think before responding, thoughtful answers are best. Be prepared with questions for your interviewer – When the interviewer asks whether you have any questions for him or her, make sure that you do! Review your questions and have a few ready in advance. It will show that you have done your research and are interested in the position. Follow up – Ask for the interviewer’s email address, if you don’t already have it. Send out a thank you immediately, thanking the interviewer and showing your interest in the job. Let them know you are available to answer any other questions they may have. It comes down to being your best self! Even if the job is not something you might be suited for keep in mind that you are always networking and making those connections so it is important to make a good impression!